Are you looking for someone to remove pigeons from your home or business? Pigeon removal in Denver can be a major undertaking and it’s important that you find people to do it who you can trust. At Project X, we will get your building back to normal and pigeon-free quickly and efficiently. Give us a call, and we will send an expert in pigeon and pigeon feces removal in Denver to you quickly. Our experts know how to not only humanely remove pigeons from your property but also how to keep them from coming back. We will be able to look and see what is attracting them to the property, then discuss with you the different options that exist for making those areas unattractive to them. We’ll also talk to you about what needs to be done to get rid of their feces. This is one of the main reasons that people seek us out for pigeon removal in Denver. Pigeon feces smells terrible and it doesn’t look very good, either. We will look at how much feces you have and where it is located, then come up with a plan to get rid of it for good. Once we have our plan, we’ll talk it over with you. 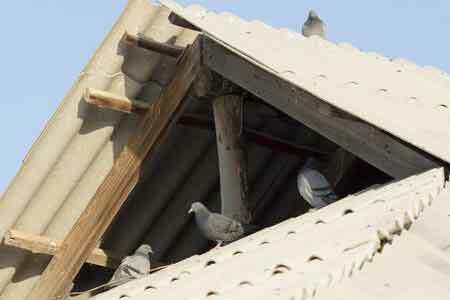 We’ll make sure that you understand exactly what needs to be done to get rid of your pigeons and how much it will cost. We’ll talk you through all of your options and help you make the decisions that are best for you and your family. With a plan in place, we’ll get started on your pigeon removal in Denver as soon as we can. In less time than you might think, we will have your home or business free of those pesky pigeons and all of the messes they leave behind!